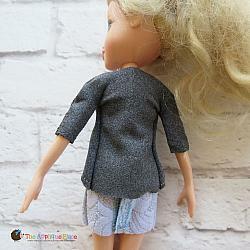 This design is part of our 10 inch Doll Clothing - Simple Collection, which can be found Here. 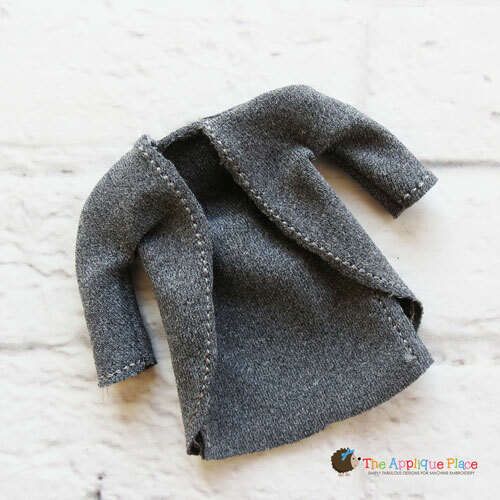 Design size: 3.98" X 3.06"
This clothing item will fit 10 inch Bratz Dolls, and some other similar dolls. More Detailed information about each pattern (including a supply list) can be found here. These designs are made mostly from stretchy fabrics such as spandex.